As per the Assembly resolution, the directorate is in the process of analysing existing material and identifying what additional work needs to be done, to ensure that we can have an informed discussion. Engagement with interested parties is a key part of developing an integrated plan and we will engage as soon as is practical once our initial analysis is complete. 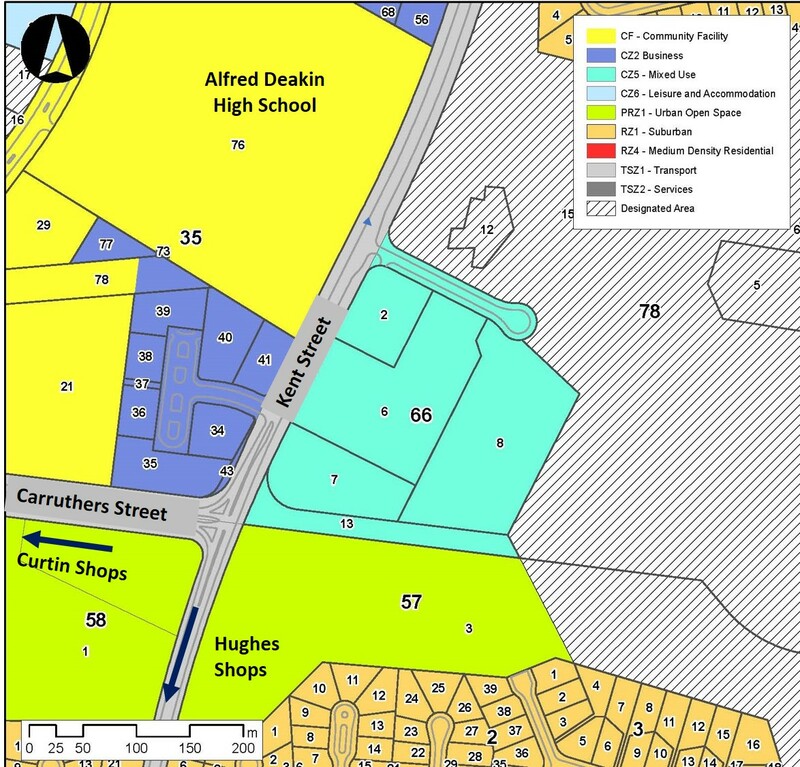 Complaint re dumping of spoil on Critically Endangered Yellow Box – Red Gum Woodland at Lots 7 and 8 Section 66 Deakin, ACT. 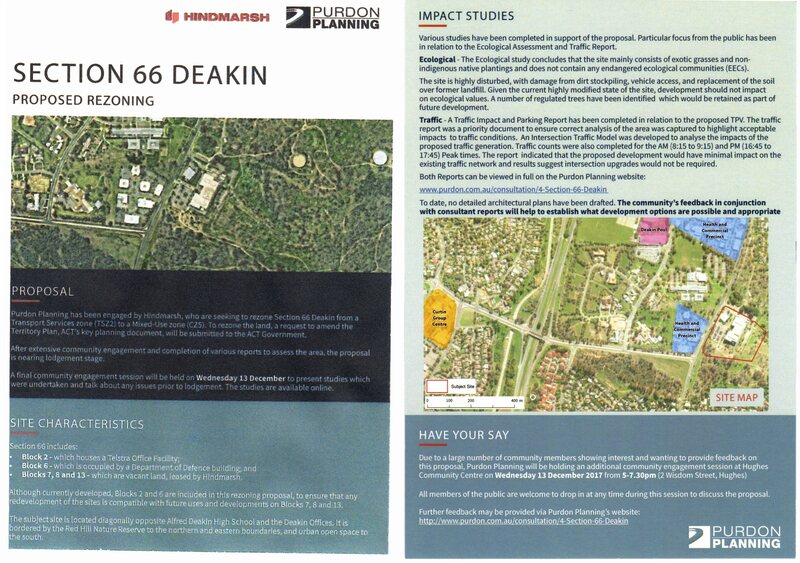 The Red Hill Regenerators wrote on 24 January 2018 to the Minister for Planning and Land Management, Environment and Heritage, Mick Gentleman, MLA, to express concern that processes associated with the proposed development of S66 Deakin may be proceeding in a way that risks decisions being made with incomplete or incorrect information. The letter was accompanied by a critique of the Ecological report prepared for the developer, to illustrate the above concerns. A copy of this correspondence was also forwarded to Mr Ben Ponton, Director General, EPSD. 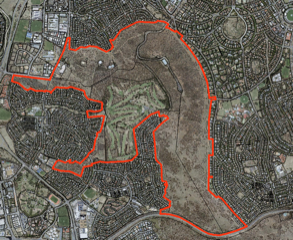 ‘Someone needs to ask the ACT Planning Minister why his planning directorate continues to encourage local residents to form residents’ associations to oppose inappropriate developments. It has happened all over Canberra and now it is happening in Campbell. ‘The formula is simple: The Planning Directorate (Authority?) allows an inappropriate DA to progress and then up pops a residents group wanting to maintain their suburb as a livable and sustainable urban environment…. Plans for the proposed multi storey apartment development at S66 Deakin (Kent Street/Carruthers St) will be displayed at a ‘consultation session‘ to be held on Wednesday 13 December 5.7.30 at Hughes Community Centre. The above website includes reference to an Environment assessment and a traffic impact report.